EFL CUP : MANCHESTER CITY ANNIHILATE BURTON ALBION IN MOST RUTHLESS WIN IN EFL CUP SEMI-FINALS HISTORY, 9-0 ! - Sports | Sports 24 | Sports News ! 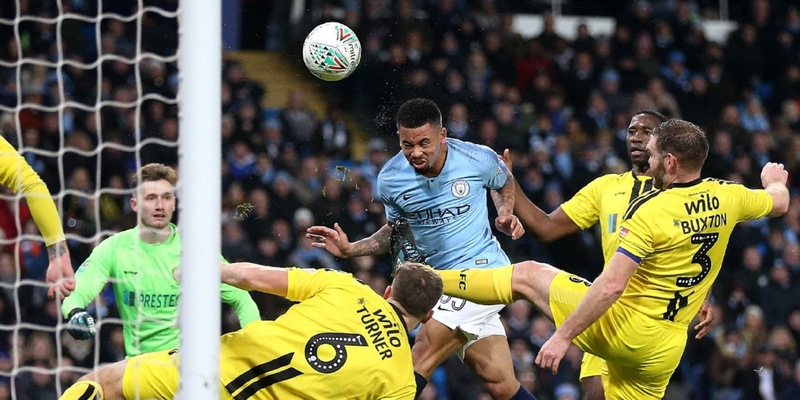 Home World Cup EFL CUP : MANCHESTER CITY ANNIHILATE BURTON ALBION IN MOST RUTHLESS WIN IN EFL CUP SEMI-FINALS HISTORY, 9-0 ! EFL CUP : MANCHESTER CITY ANNIHILATE BURTON ALBION IN MOST RUTHLESS WIN IN EFL CUP SEMI-FINALS HISTORY, 9-0 ! FULL-TIME: The #Brewers are beaten Manchester City at the Etihad Stadium. FULL-TIME: Manchester City 9-0 Burton Albion. And we still have a second leg to play. 👏 @ManCity boss Pep Guardiola praises @burtonalbionfc manager Nigel Clough. Hundreds of Burton Albion fans face missing tonight's Carabao Cup tie at Manchester City due to traffic issues on the M6.